No need to search the internet for coupons for learning resources ever again! Share the book with your family and friends! Just fill out the form below and you will receive your FREE Learning Resources Coupon Book Immediately! Also check our Best Learning Resources Guide at the top of the home page at HowToLearn.com for new coupons for learning resources regularly! 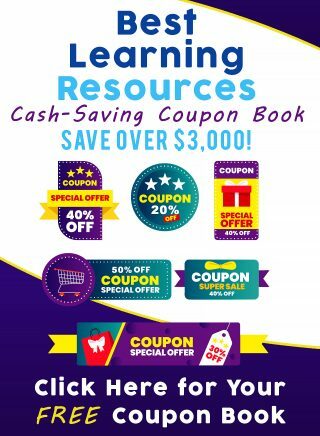 If you have a learning resource you would like to share with over 2 million parents, teachers, homeschoolers or adult learners in this Coupon book please click here to contact us.